water, they could save lives and vessels. Institute (CMTI) in 1992 alongside his wife, Cindy. 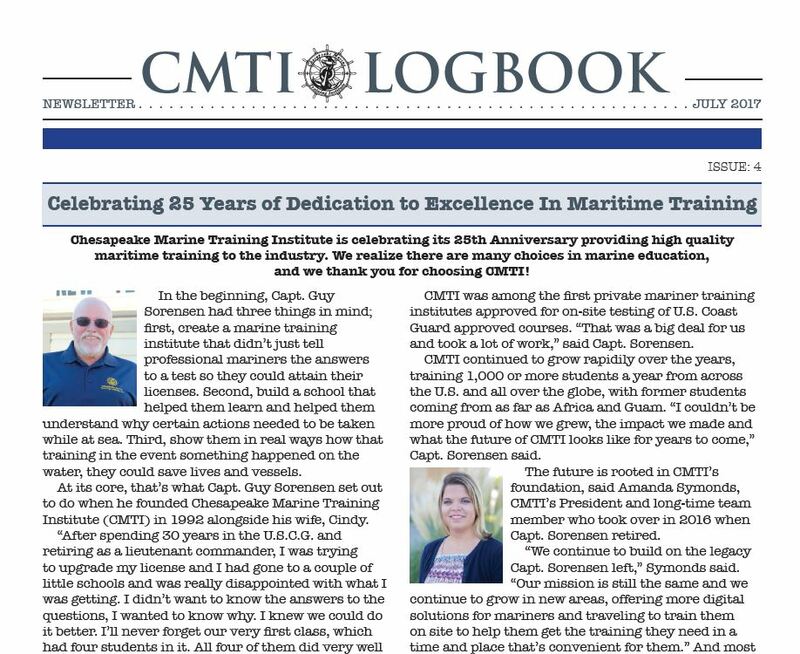 Read the January 2017 CMTI Log Book.